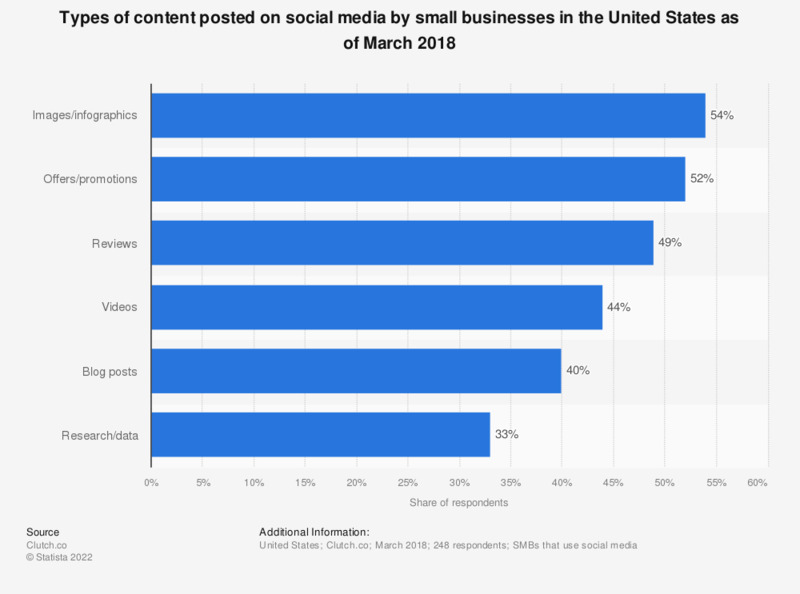 This statistic presents the most common types of content posted on social media by small businesses in the United States as of March 2018. During the survey period, 54 percent of responding small business owners stated that they posted images and infographics on their business social media. The source does not state an exact date of survey.